Allows coaches to accurately place ground balls and popups. 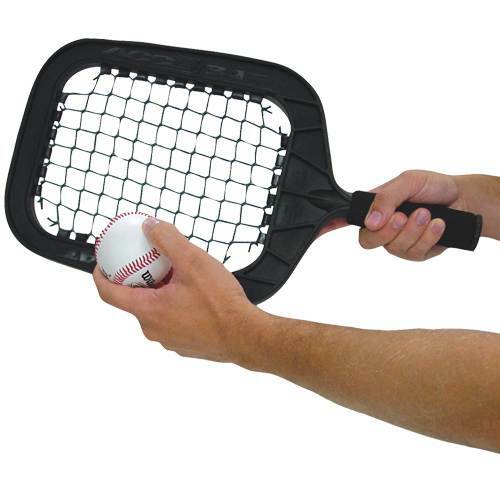 The perfect practice tool for baseball and softball is this Pro Model. So advanced it lets coaches place grounders, flyballs and line drives with pinpoint accuracy so every ball the coach hits is a fielding opportunity for a player to shine. Made of graphite composites, like professional racquets. Treated torsion bands propel balls with speed and accuracy. Perimeter weighted design. Non-slip grip. Give the 26 oz. Pro Model a workout with your team and see how productive your practices can become.